Support the development of this site by buying your F1 tickets from our partners, Gootickets. We don’t apply any markup, so you’ll always pay the cheapest price. We also recommend Official Ticket Packages from F1 Experiences. 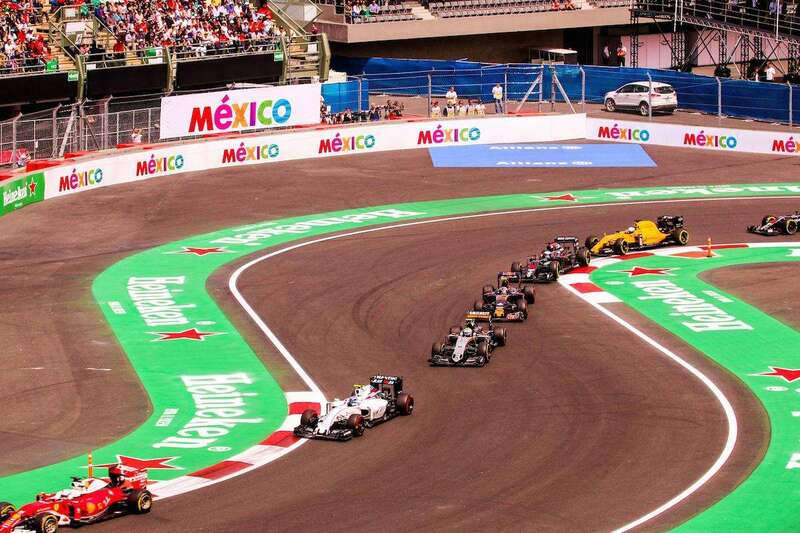 The Mexican Grand Prix made a popular return to the calendar in 2015 and the race has enjoyed strong support from local fans – tickets sell out quickly despite high prices. At present, the future of the event is in doubt – 2019 is the final year of the current contract, and the local government has not committed to future financial support. If you are thinking about attending the race, which arguably has the best atmosphere on the current Formula 1 calendar, then this could be your last chance for a while! All tickets are sold for three days and start from $260 USD for General Admission 6A up to $1500 USD for the Main grandstand. We think the best value seats can be found in the stadium section (Grada 14/15), which has an unrivaled atmosphere and is also where the podium ceremony takes place after the race. Official Ticket Packages from F1 Experiences for the 2019 Mexican GP include grandstand seats or VIP hospitality, plus exclusive activities such as a Drive the Track Tour, guided tours of the Formula 1 Paddock, meet-and-greets with F1 drivers and more. Choose from trackside hospitality in the Champions Club or the Formula 1 Paddock Club – the latter has two locations at Autodromo Hermano Rodriguez, above the pits and in the stadium. All tickets are sold for 3 days. 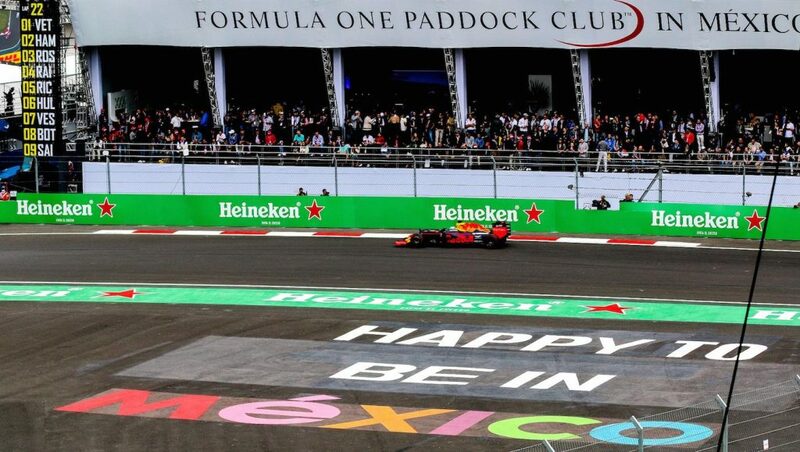 There are no pass outs during the Mexico Grand Prix. If you leave the circuit, you won’t be granted re-entry on the same day. Children aged under 4 are granted free entry, but they cannot occupy a seat. There are no discounts for children aged 4-18. All children must be accompanied by an adult. The Blue Zone, which takes in the opening three corners of the circuit, is one of the best places to watch the action at Autodromo Hermanos Rodriguez. You can pretty much be guaranteed action on these corners at some point over the weekend, especially on the opening lap (this was where the leading drivers controversially cut the track at the start of last year’s race). Of the four grandstands in this section (Gold 3, 4, 5, 6), our pick is Gold 5; even though it is set further back from the track than the others, it offers the best panoramic views of this whole section of track. The cheapest General Admission 6A grandstand is also located in the Blue Zone, but on the straight; better to go for a more expensive grandstand, if you can afford it. Three grandstands – Platinium 9, 10, 11 – are located in the Yellow Zone next to turns 4-6. The slightly more expensive nr. 10 grandstand in the middle is the best one here, but in general it is hard to justify the much higher prices for the Yellow Zone. The two grandstands in the stadium section seat almost 30 000 fans, giving this section an excellent atmosphere. Grada 14 is the better one if you can afford it, but they are both still worth considering. Most seats – even lower ones – still provide a fence-free view of the cars at low speed, making the stadium a good choice for amateur F1 photographers. Don’t forget, you also get to see the podium celebrations from the stadium (Grada 14 is better for this). Been to the Mexican GP? Leave a comment with your seating tips!